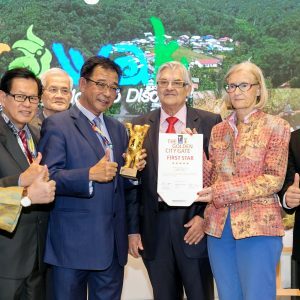 Sarawak Tourism Board (STB) is set to ramp its tourism promotion in the Netherlands with at least three Dutch operators who have expressed their interests in joint marketing collaboration. “It’s timely as we are now promoting aggressively our Visit Sarawak Campaign” said STB Chief Executive Officer, Sharzede Datu Haji Salleh Askor after a destination briefing session which was attended by 15 Dutch operators and media partners here yesterday. 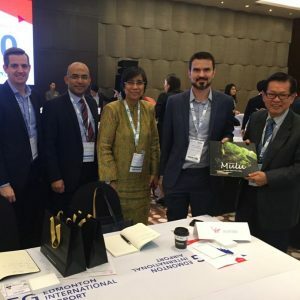 “I am glad we could offer a concrete proposal to the operators such as Fox Verre Reizen, Pangea Travel and Sawadee Reizen”, said Sharzede and adding that the agents are ready to go big time in Sarawak. 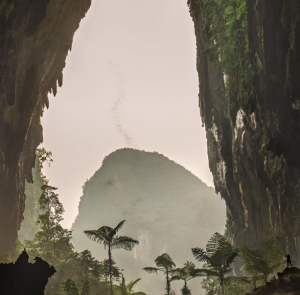 “What interests them is the destination that features responsible tourism and Sarawak has it, keeping to its theme as the destination that offers culture, adventure, nature, food and festival”, she added. Sharzede admitted that “Sarawak has lost its ‘visibility’ in the Dutch market in the past years but we are determined to move in and partner these agents leveraging on the Visit Sarawak Campaign”, she explained. “Yes, the arrival numbers were down, especially after the airline tragedy of 2014 when we lost the direct flight from Amsterdam to Kuala Lumpur and that had affected the business of the Dutch operators” added Sharzede. “After meeting the operators today, we are confident that we will be make inroads with our proposal offered to these operators to partner them in their promotional effort in the Netherlands”, she explained. 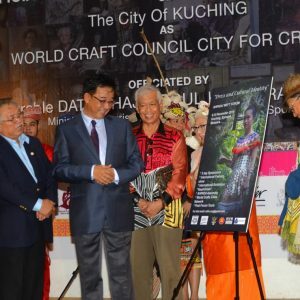 “What excites our Dutch partners are the new product experiences that we now have, including the central region and also the newly rejuvenated products like the Old Kuching Heritage Trail”. “The Dutch have their ‘Kanaal’ and we too have canals in Mukah and these product similarities especially in the central region have aroused interests among our Dutch partners, giving us an opportunity to connect closely with them”, enthused Sharzede. What we do now is ensure that these operators are shown and are able to experience the new products first hand, with familiarization trips organised by the Board partnering with local agents, she said. 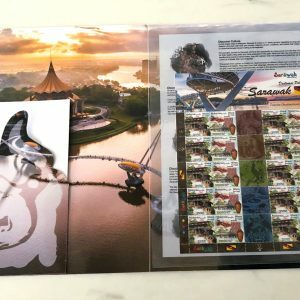 Sharzede, who was joined by Rosni Mamat, First Secretary to the Embassy of Malaysia at The Hague, expressed high hopes in revitalising the Dutch-speaking markets, acknowledging that the destination product compatibility would take the Sarawak tourism industry to greater heights. From the series of engagements we had with the Dutch operators, we believe the Dutch tourists look for experiential tourism and also choose destinations that subscribe to the principles of responsible tourism and as such Sarawak could leverage of these standards and values to position itself among the favoured destination in the region, she added. Calling on the local industry partners to be industrious in churning out more tourism products and packages to remain competitive and be relevant, Sharzede was of the opinion that the long haul market of the Benelux will continue to be the main supplier of tourists in the coming years. Meanwhile, both Product Managers from Fox Verre Reizen and Sawadee Reizen had also expressed their interests to do a familiarization trip to Sarawak in order for them to have a first-hand experience of the destination whereas the Product Manager of Pangea Travel had, indicated his intention to include the Central Region as a new product in their promotional catalogue. STB is on a week-long tourism promotion mission to Finland and Holland to attend the MATKA Travel Fair in Helsinki and also conducted destination briefing and partners’ engagement session in Amsterdam with local Sarawak partners. 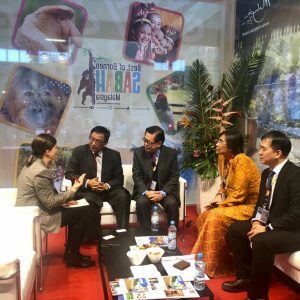 The mission was supported by Tourism Malaysia’s office at The Hague. 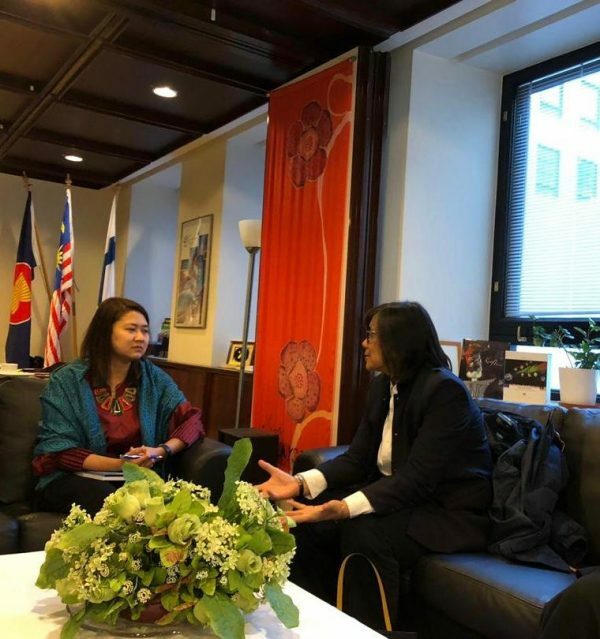 While in Helsinki on Tuesday, the STB delegation were guests at the office of the Malaysian Embassy’s First Secretary, Norhalilah Abdul Jalil. Norhalilah (left) with Sharzede at her office.